The pipeline report is a great way to see what's in your pipeline, how many deals are yet to close over a certain period of time, and how many have already closed this month. 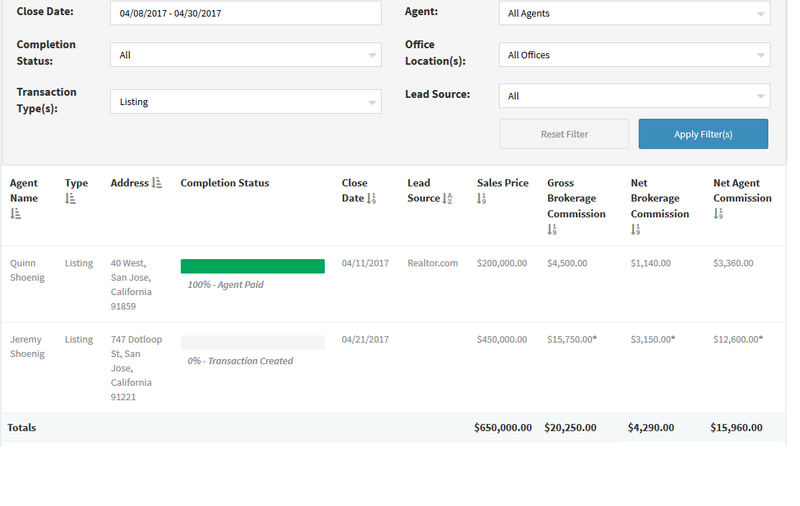 You can filter this report by close date, agent, pending or closed, office location, transaction type (listing/selling/rental) and lead source. The agents also have access to this report in their agent portal. The agent's version of this report will only show transactions for that specific agent.